The Fairy Nuff Flowers Christmas Wreath Workshops are back! Dust off your santa hats and Christmas jumpers, and join us for two hours of flowers, foliage and festive cheer. Each two hour workshop will teach you, step-by-step, the process of making a beautiful, fresh flower and foliage Christmas wreath. Classes include all materials – a mix of gorgeous seasonal foliages, flowers, the prettiest ribbons and other festive prettiness. There will also be a glass of fizz, hot drinks and Christmas nibbles, along with so much Christmas cheer, you won’t know what to do with yourself. The workshops will be held in a private room at the lovely Thyme at the Park in Hampton Hill. Classes are £70 per person, including all materials, a glass of bubbly or yummy hot drink and festive nibbles. To book your spot, email me at steph@fairynuff-flowers, and let me know which workshop you’d like to book and for how many people. A non-refundable deposit of £30 per person is required to hold your place, the balance being payable in cash on the day. Places will be limited so please book early! The very lovely Claire and Dan married at Hampton Court House in August. Their wedding was a dream to work on. They first saw our flowers at the venue while we were setting up another wedding. We flower 25 – 30 weddings there each year, so we do get a lot of weddings like this! Claire and Dan’s big day was filled with so many floral touches. 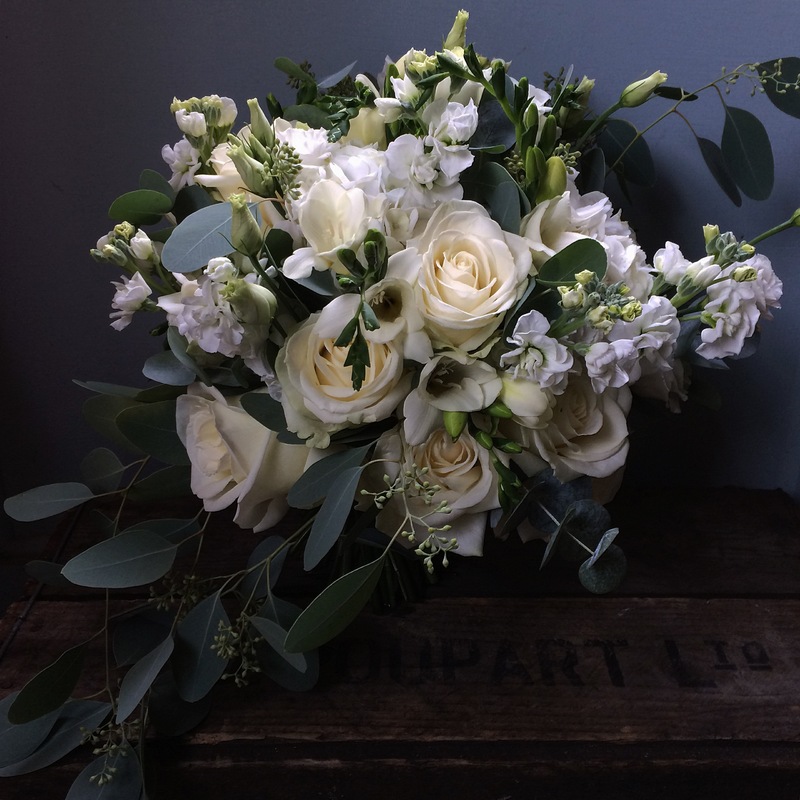 The fragrant bouquets were made up of Memory Lane and Amnesia roses, veronica, stocks, delphiniums, spray roses, dahlias, alchemilla mollis, mint, lisianthus, jasmine and eucalyptus, and the boys wore handtied buttonholes of Bombastic spray roses and wax flower. Guests were welcomed in to the venue by a flower–filled vintage bike and vases of hydrangeas lining the stairs to the front door. We decorated the fireplaces with bundles of seasonal foliages and candles, with more greenery and hydrangea prettying up the mirror and handrails. And then there was the hanging flowers in the conservatory. We have made so many flower balls at Hampton Court House now, with each one being so different to the last. Claire and Dan’s was filled with pale pink, pale blue and ivory hydrangea, Amnesia and Memory Lane roses, delphiniums, wax flower, astrantia, snapdragons, snowberries, dahlias, lisianthus, clematis and veronica. My dream colour combination! These flowers ran through all the other displays at the wedding. We also got to flower the table plan, cake, gold candelabra on the tables, and even the toilets. There was no escaping our flowery fingers! The wonderful Amy B was in charge of documenting the day. I love Amy’s photographic style. We have been lucky enough to work on a number of weddings together, and she even managed to take a photo of me that I actually like. That doesn’t happen often! Acclaim Food supplied all things food and drink. We adore working with them – they are are a florist’s dream – and their food is delicious! Huge thank you to Claire and Dan for choosing us to flower their wedding and Amy for letting me share the fab photos. I’m terribly excited to announce that I’ll be joining the wonderful Sarah Richardson of Leafy Couture at her flower school in Otley, West Yorkshire on Wednesday 26th of April. 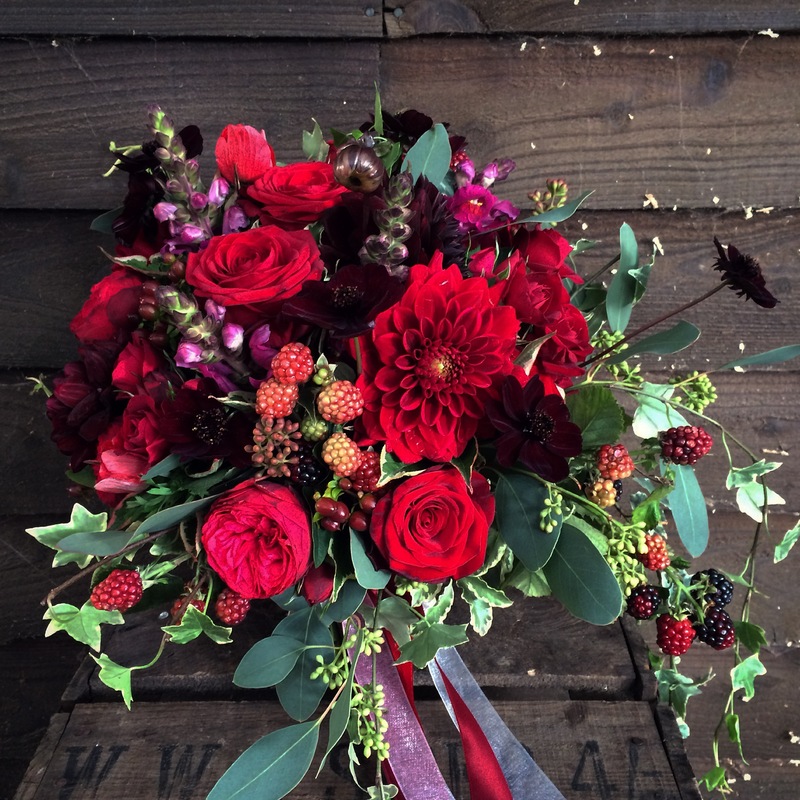 I’ll be running a day-long bouquet and wreath making class alongside Sarah. The day will run from 10am until 4pm, includes all flowers and materials – and we’ll enjoy a lovely lunch too. 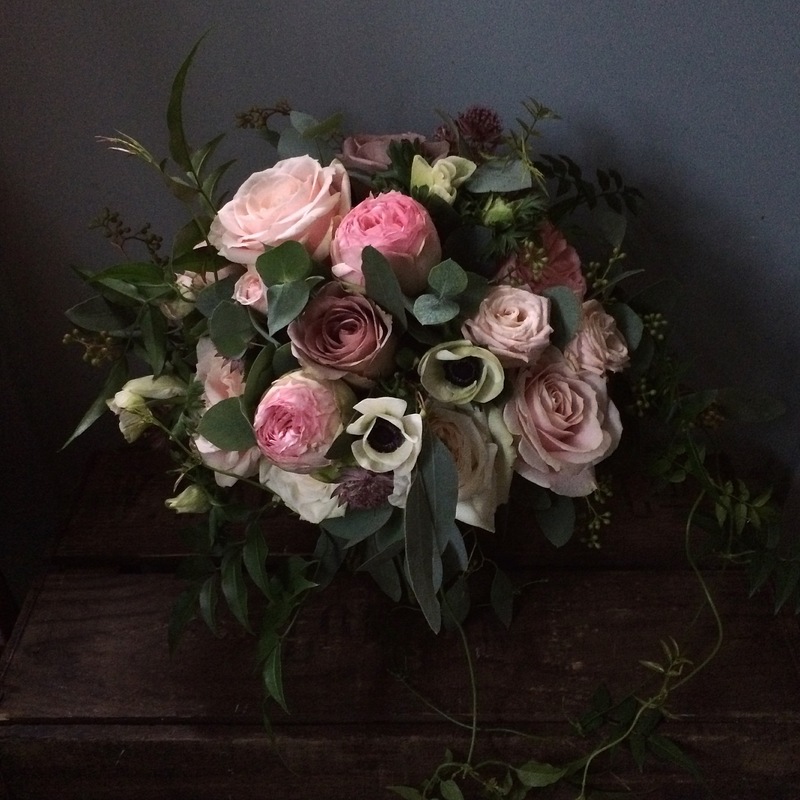 During the course I’ll demonstrate how to make a stunning bridal bouquet and a gorgeous floral wreath. I’ll be on hand to guide you through the process and the techniques involved and I’ll be happy to answer any questions you have about the business of being a wedding florist and our use of social media to grow your business. And of course at the end of the day you get to take your beautiful creations home with you! 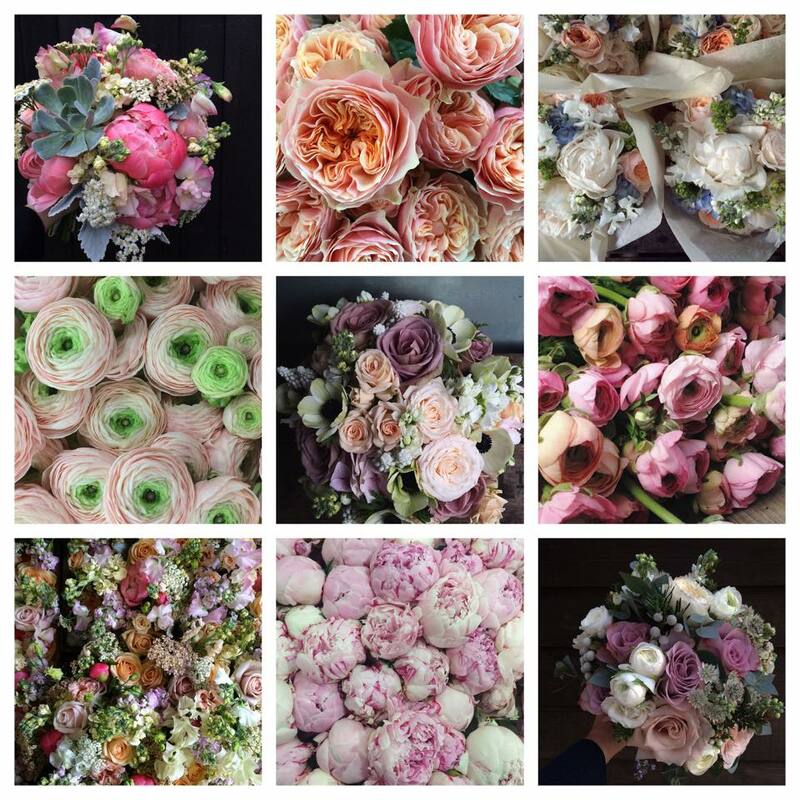 If you don’t know Sarah’s stunning work, or haven’t seen her lovely flower school then take a peek here. If you would like to book your place on the course, or would like a few more details then have a look at the Leafy Couture Flower School website or contact either Sarah or myself. I really hope you can join us, it’s going to be a very enjoyable, and awfully pretty day!